Japanese launch reportedly this September. 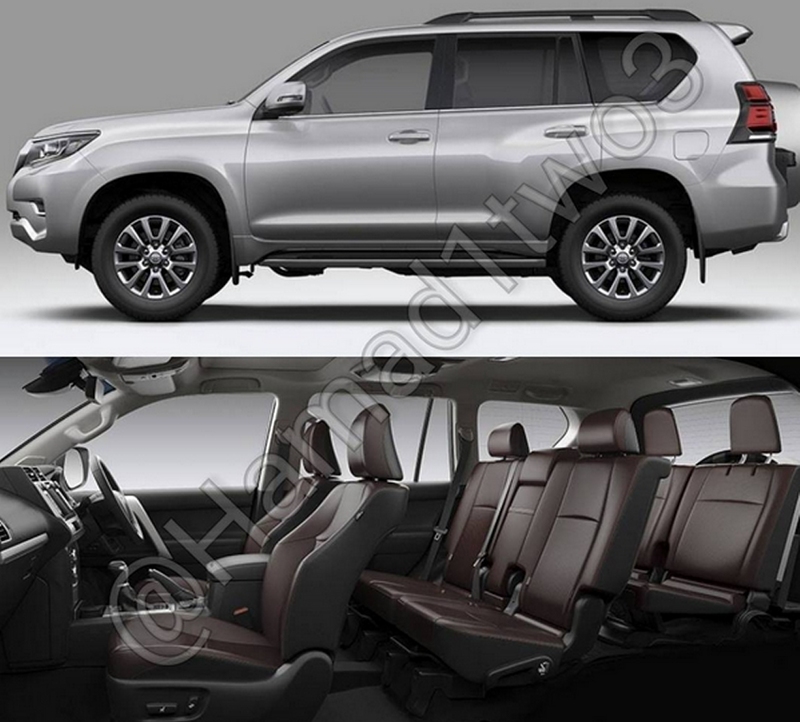 Toyota has readied a facelift for the Toyota Land Cruiser Prado, planned to launch in Japan this September. By the year-end, it should reach dealer showrooms in UAE, KSA and GCC, says a report from Drive Arabia. The 2018 Toyota Land Cruiser Prado gets a completely redone front fascia and a considerably revised interior. 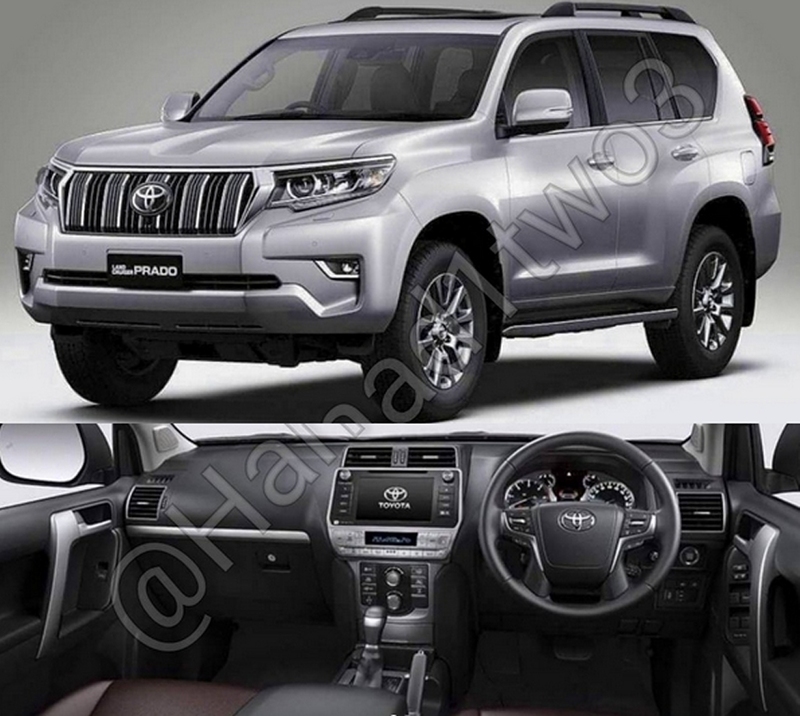 The fourth generation Toyota Land Cruiser Prado arrived in 2009, and the images enclosed show its second facelift. The front-end is the most modified portion of the SUV's exterior. The new upper grille design is flanked by sleeker and more aggressive headlamps, above both of which is a full-width chrome strip. The bumper, fog lamps and lower grille too are redesigned, while the hood is resculpted with more creases and hunches to express the SUV's strong character. On the inside, the 2018 Toyota Land Cruiser Prado is inspired by the latest Toyota Land Cruiser, as seen with the similar new four-spoke steering wheel and plush centre console design. The instrument panel and infotainment system are also new. Toyota may introduce new trim and upholstery choices with the facelift. The second refresh to the mid-size SUV will see improved driver safety, thanks to the availability of Toyota Safety Sense P.
The new Toyota Land Cruiser Prado will get the Toyota Safety Sense P suite of advanced safety and driver assistance features. The Toyota Land Cruiser Prado comes with plenty of engine options currently, including 2TR-FE 2.7-litre four-cylinder petrol, 7GR-FKS 3.5-litre V6 petrol, 1GR-FE 4.0-litre V6 petrol, 1GD-FTV 2.8-litre four-cylinder, diesel, 1KD-FTV 3.0-litre four-cylinder diesel and 5L-E 3.0-litre four-cylinder diesel. In the UAE specifically, the 1GR-FE 4.0-litre petrol and 2TR-FE 2.7-litre petrol are the engines offered.